Hi all I came home from work today and was excited to find the latest package for the It’s Charming club from Quilt Fabric Delights. 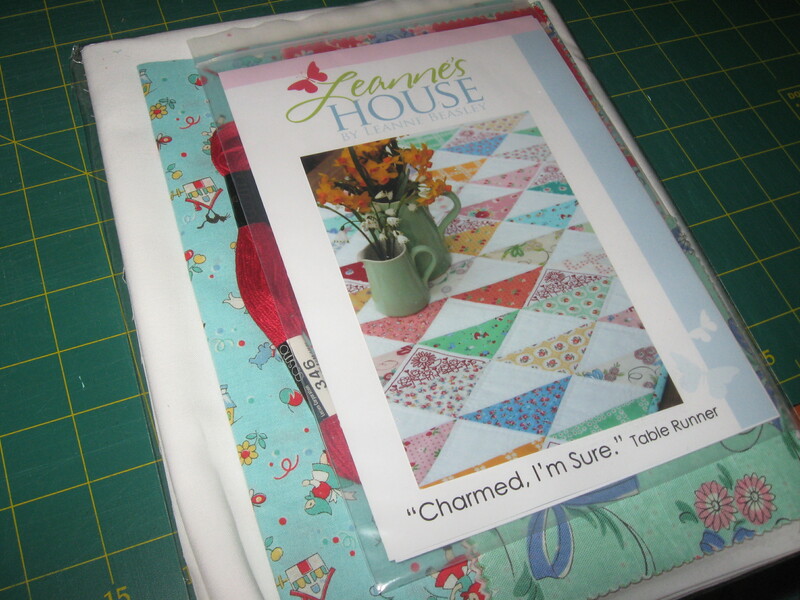 It is a table runner and is designed by Leanne Beasley from Leanne’s House. The charms look like repro fabric. Very cute. I’ve also finished my pincushions that I showed you in progress a couple of weeks ago.